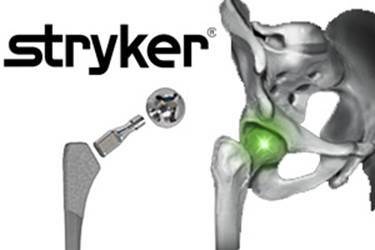 Riley & Jackson is accepting new clients who have been injured as a result of a recalled Stryker Modular Hip Implant. Riley & Jackson currently represents patients injured by these defective hip implants and whose claims have settled as part of a national settlement program. Our attorneys are continuing to accept as clients those injured by Stryker’s defective hips and are working cases towards litigation or a possible Round 2 of settlements. Stryker issued a recall of its Rejuvenate and ABG II modular-neck stems in June, 2012. Stryker’s defective metal-on-metal design caused fretting and corrosion at the modular-neck junction, which in turn caused adverse local tissue reactions and pain or swelling at or around the hip. Many patients have experienced severe pain or have been diagnosed with metallosis as a result of this defect. Patients who still have a recalled Stryker hip and who have unresolved pain or metallosis will likely need an additional surgery to have the hip implant removed. If you or a loved one suffered an injury due to a recalled Stryker Modular Hip Implant, or if your doctor has told you that you have metallosis or you may need your hip implant replaced because it was recalled, please contact the defective hip implant legal team at Riley & Jackson. All consultations are private and free.